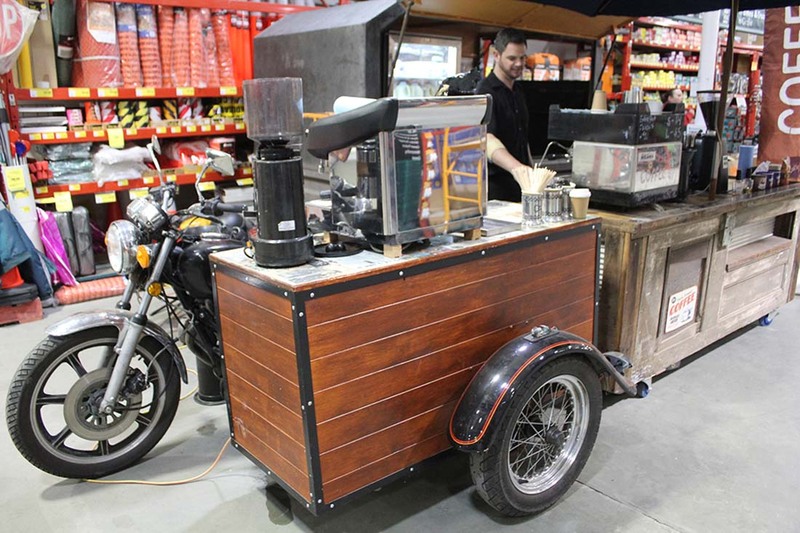 Our handmade carts appeal to coffee connoisseurs because they demonstrate coffee as a craft. Our emphasis is not on cups per hour and high capacity turnover, rather an engaging experience for the customer with a focus on generating a loyal brand following. Most coffee lovers can name their best café, rarely does a mobile operator get the same brand recognition – until now!